Posted in: Uncategorized. Tagged: complimentary desk copy, desk copies, Packt publishing, Social Media Mining. 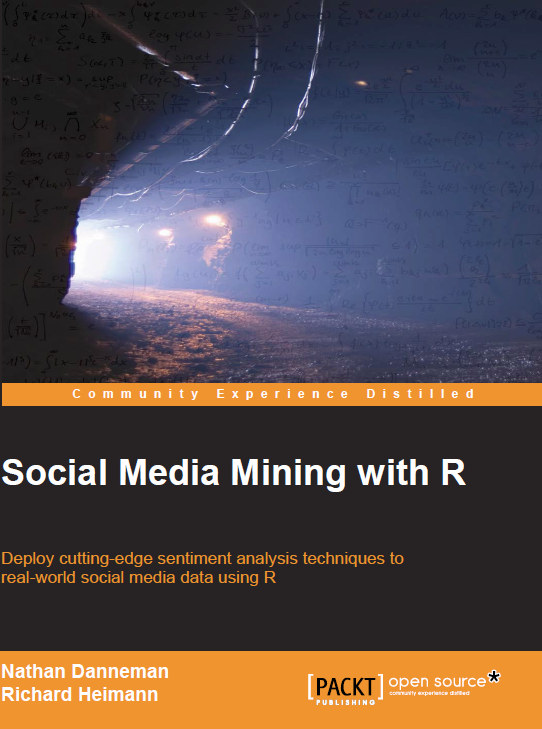 We are excited to have arranged with Packt publishing the availability of desk copies for Social Media Mining with R.
Upon request a complimentary desk copy may be provided to educators who are seriously evaluating the content for their classrooms and understand that more copies of the book will be bought by students in the course should the materials prove fit. Please email with questions or requests: heimann dot richard at gmail dot com.